Saturday, May 19, 2018 kicked off the very first Victory Ride to Cure Cancer. 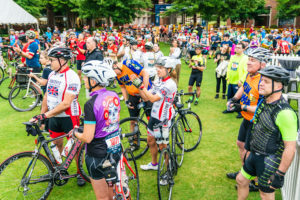 Before the sun came up that morning, cyclists started rolling in to NC State University’s Centennial Campus, in anticipation of hitting the route. 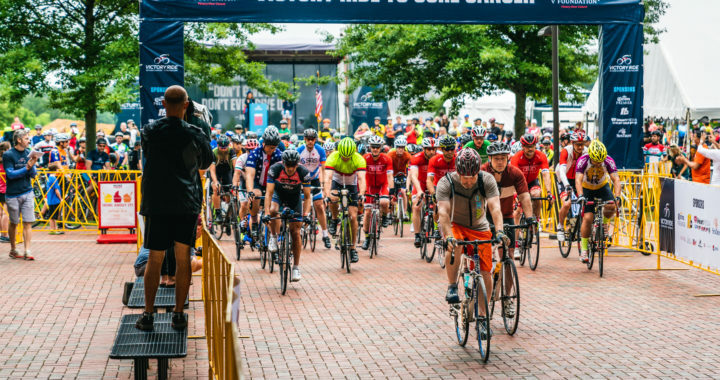 These determined riders raised more than $200,000 to support North Carolina’s world-class cancer research institutions and breakthrough cancer research nationwide. Nearly 500 riders and volunteers came together in the pouring rain to celebrate a successful first year of this event. 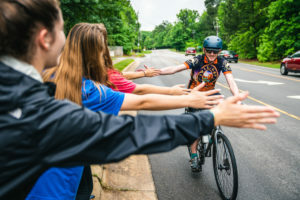 The multiple routes offered at the Victory Ride took riders through the rolling hills of Raleigh-Durham-Chapel Hill. Our volunteers helped keep riders fueled at each rest stop and cheered them on along the way. Whether they took on 30-, 60-, or 100-miles, they all rode toward Victory Over Cancer®. 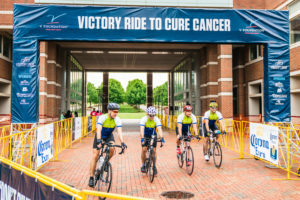 Before the ride began, our participants heard from the Victory Ride’s mission partners, Duke Cancer Institute, UNC Lineberger Comprehensive Cancer Center, and Wake Forest Baptist Health Comprehensive Cancer Center. Once riders crossed the finish line, their family and friends were gathered at the post-event festival to welcome them back. 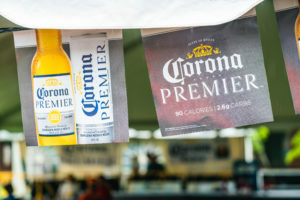 The post-ride celebration featured a beer garden sponsored by Corona Premier, local food trucks, Gonza Tacos and Napoli Pizza and a photo wall with fun props. The top fundraising team was Duke Cancer Institute, which raised nearly $20,000! Our top fundraiser was Dr. Michael Kastan, who raised more than $5,500. The Victory Ride will continue to accept donations until June 19, 2018. Thank you to all of our sponsors and volunteers who helped bring this event to life. And a great big THANK YOU to all of the riders. You were determined to make this event a success. You engaged your friends and family in conversations about what you were doing, who you were riding for and why it was so important to support you with a donation. And you showed up on the big day and didn’t let the driving rain keep you away from completing your important mission. This event wouldn’t have been possible without you.